Powerful papers require powerful resources. 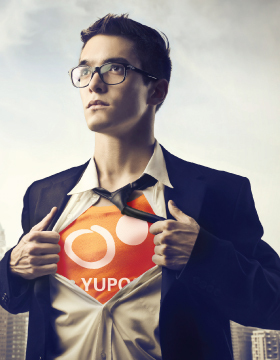 As the global leader in manufacturing of synthetic paper, Yupo had to make a commitment to innovative and thorough customer support. Over the years we’ve learned how to help printers take advantage of the unique characteristics that distinguish our product line. Working closely with many printers in the Unites States and Canada, we’ve developed a broad range of technical data and related information to ensure successful printing and finishing. And you’ll find it all right here on this site. So please, if you’re bidding on a YUPO project or if you’ve already won the job, we strongly encourage you to review the information we’ve provided on our site or contact our technical service team for any additional needs or questions.